Last week, well-known web/iPhone developer Joe Hewitt decided to rant on Twitter. His target? The state of web development. In 25 or so tweets, Hewitt ripped apart the state of the industry. Obviously, his impassioned views caused some controversy. But more than a few people felt his views were right on the money as well. 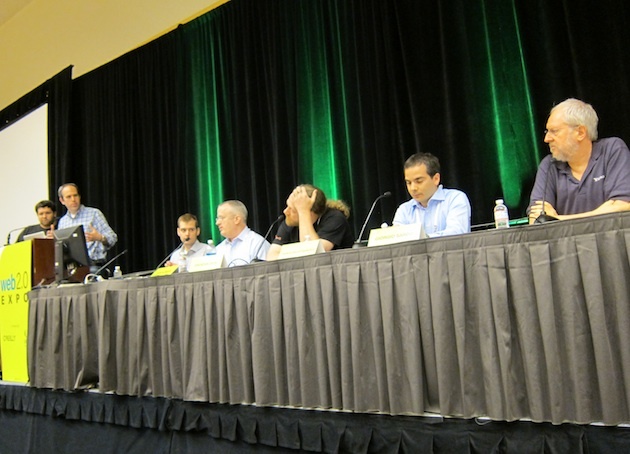 Today, at Web 2.0 Expo in San Francisco, a couple prominent sides in the industry addressed his comments. But now, thanks to WebKit and specially, CSS-based animations, life is much easier, Russell concluded. And, as more browsers continue to support the type of advanced CSS that runs through the GPU, things will only get better. “It’s buttery-smooth,” Russell said noting that this support was coming to all browsers shortly. Russell said he understands that frustration, but again, believes that the rate of improvement is increasing rather than remains stagnant. “It’s not all better yet – but it’s getting better at a pace that in 5 years we’ll accept what’s bleeding edge right now,” he said. 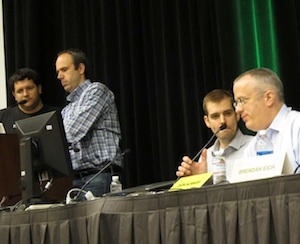 Meanwhile, Yahoo’s Douglas Crockford echoed some of Hewitt’s sentiments later in the panel. “We have a strong risk of losing openness,” Crockford said noting that the web is based on standards, and standards have to move slowly or “they’re crap.” So who will they lose this openness to? The app stores. Find the rest of the notes about the panel here. What’s interesting is just how much those that no longer have a stake in the game (Hewitt) are at odds with those who do have a stake in the game (Google, etc). While web development is no doubt better than it was 5 years ago, I can’t help but think that a lot of what Hewitt says is true. After all, this lack of innovation is at least partially to blame for the rise of the app stores.